The Graduate Certificate in Theological Studies provides students with a general introduction to theological inquiry. Students take four required courses—church history, theology, Bible, and an elective. This certificate is a great foray into deepening one’s understanding of biblical, theological, and historical concepts relevant to the church. Taking two classes per semester, the Certificate in Theological Studies can be completed in one year. Students may also elect to take one course per semester and complete the program in two years. For those taking evening courses, the program can be completed over two academic years. This flexible certificate program easily fits students’ busy schedules. 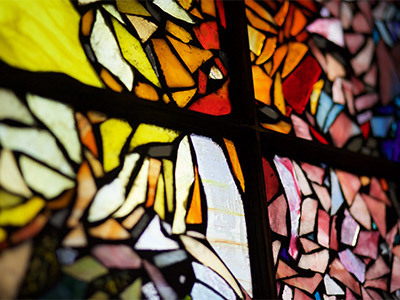 Theological Studies certificate grads may elect to later complete the Seminary’s Master of Divinity, Master of Arts in Pastoral Studies, or Master of Arts in Theological Studies degree program. Additionally, the certificate is ideal for persons who want to expand their knowledge of Scripture or engage in theology classes. Students interested in this certificate program must complete Pittsburgh Theological Seminary’s standard application for admission process and will ordinarily have an undergraduate degree. Learn more about the Seminary's master's and doctoral degree programs.